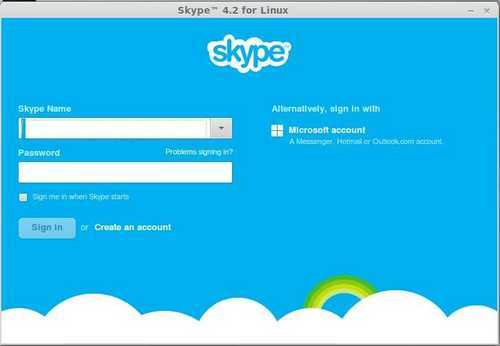 This simple and brief tutorial is going to show you how to install the Skype 4.2 on Linux Mint 13 Maya, 14 Nadia, 15 Olivia. For Linux Mint 13 Maya and 15 Olivia, the latest skype 4.2 is ready for install in the official repository. 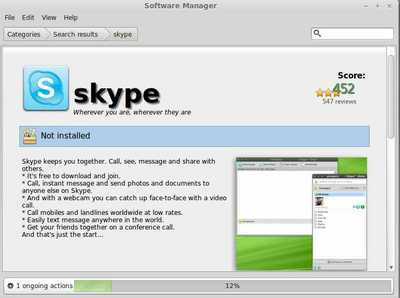 Just go to Start menu -> Software Manager, search skype and install it. Then double-click to install the DEB via Gdebi.